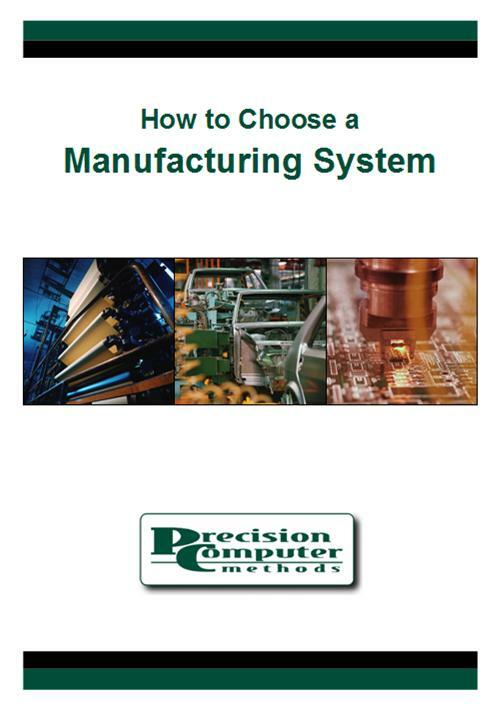 PC Methods offers powerful tools to improve efficiencies within manufacturing process. With solutions designed to automate input measurements and calculate production outputs, PC Methods delivers the accuracy required to achieve the quick-turn adjustments so critical to staying ahead of your competitors and growing profit margins. Our manufacturing software solution can synchronize manufacturing with purchasing, sales and receivables, and accounting, your business and put your business on the road to continuous improvement. Production Entry provides bill of materials, sales kit and configuration, and backflush processing. Our manufacturing software solution even supports up to 99 bill of material levels and real-time costing from Inventory Control! To handle product configuration requirements with speed and flexibility, built-in modular and variable Bill of Material (BOM) types can reduce the need to maintain multiple BOMs. Work Orders enables component allocation, routing, and Material Requirement Planning (MRP) features. Production orders can be automatically generated from sales order requirements, inventory shortages, or inventory forecasts with this manufacturing software solution. By defining work centers and operation steps, manufacturers can create flexible labor routes. Generates purchase orders from MRP shortages and bill of material components marked for external processing. Shop Control delivers shop floor capacity scheduling, what-if planning capabilities, and WIP tracking for production managers that require Manufacturing Resource Planning (MRPII) features. Imports open work orders with defined routes, identifies bottlenecks, and calculates work order completion dates. What-if plan orders can be created to view material and resource requirements without affecting real-time purchasing decisions.